Baby's delicate eyes need special care during bathing time. Mom & World baby shampoo is as gentle and mild to the eyes as pure water. 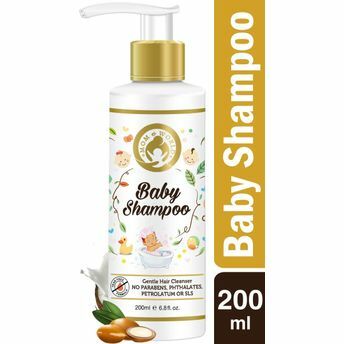 This baby shampoo's No More Tears formula cleanses gently and rinses easily, leaving your baby's hair soft, shiny, manageable and clean while smelling baby-fresh. It contains a Natural Blend of Argan Oil, Almond Oil, Aloe Vera, Oat Extract, Wheatgerm Extract & Glycerine leaving hair looking healthy and shiny. This tear-free formula can be used on skin and hair for gentle cleansing that rinses clean with a soft, fresh fragrance. Mom & World baby wash and shampoo is formulated to be gentle enough for new-borns and babies with sensitive skin. One for all - it's a product for the complete family! Soft enough for the new-borns, babies, kids, & teens, and rich enough for adults! 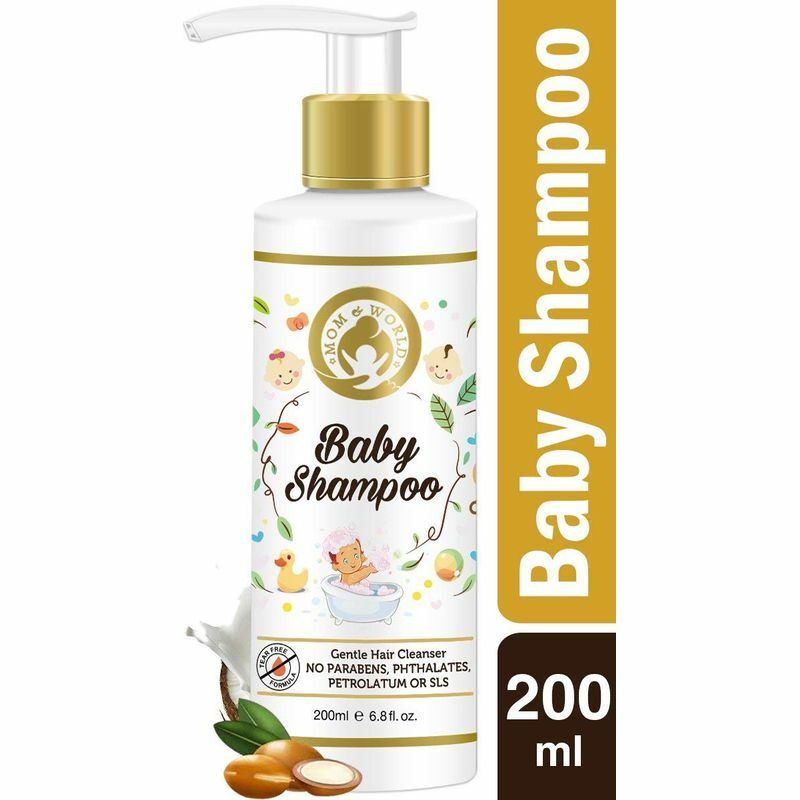 It can also be used as a mild body wash.
Additional Information: Mom & World is a caring brand for infants and mothers presented by Emmbros Overseas. They make natural, chemical free and safe products with love and without compromise. Their aim is to provide comfortable experience with the best quality products that nourish the skin and hair. They create every product with a believe to retain the good and reject the bad while giving a product that is as pure as a Mother's Love.